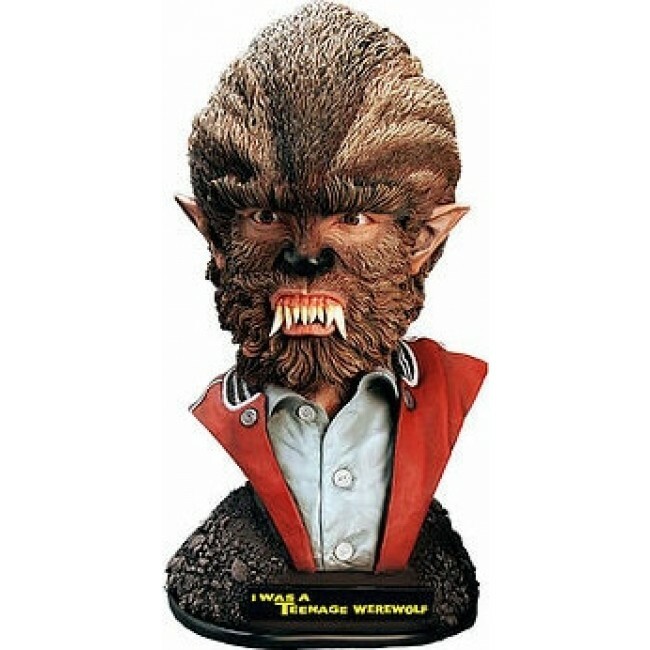 Measuring 23-inches tall at its hirsute crown, this shockingly realistic resin replica bust inspired by the cult classic, I Was a Teenage Werewolf, is now available for an extremely limited time! Lycanthropy begins at home with this unbelievable 3:4 scale, I Was a Teenage Werewolf Limited Edition Bust. Measuring 23-inches tall at its hirsute crown, this shockingly realistic replica was sculpted by Gabriel Marquez and painted by Brian Healy. Inspired by the film which was originally conceived as a cautionary tale about the pitfalls of male puberty, this bust has an extremely limited run of just 200 pieces. Masterfully crafted from animal friendly resin. Weight: 11.3 pounds. Box Dimensions: 16 x 11 x 24 inches. Parts: Unknown.